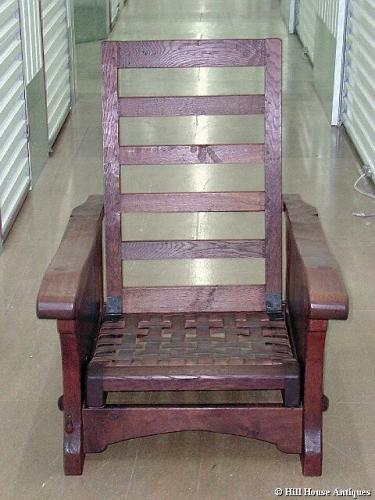 Rare early c1930s adzed oak recliner (two positions) armchair by Robert (Mouseman) Thompson. Original leather webbing to seat - superb, sturdy and very comfortable. Newly upholstered cushions covered in plain linen. Carved mouse signature feature up the right front leg. Approx 3ft overall height, 32.5" depth and 27" width across front of arms.